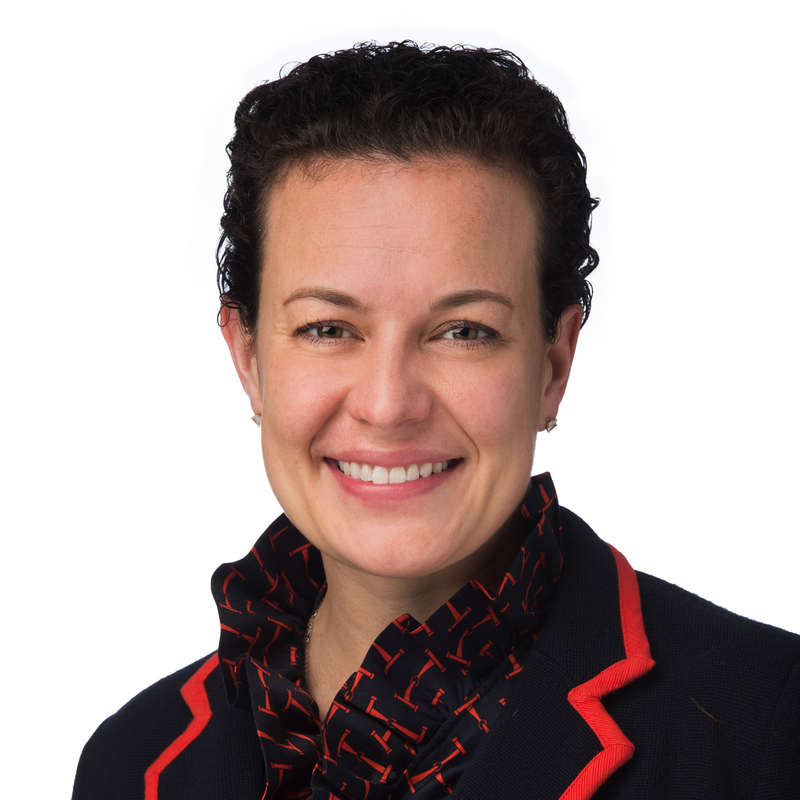 Outside In: Are We Just Talking To Ourselves Inside The Beltway? Last week, Americans from coast to coast tuned into the cable news shows of their choice, and inevitably noticed coverage focused on one item above all else: the new Republican health care proposal, the American Health Care Act (AHCA). If we turned to national outlets or Beltway publications, it felt like health care entirely consumed the 24-hour news cycle day after day. But what happened outside DC? Were other outlets giving the proposed legislation as much coverage? Our hypothesis: news consumed inside the Beltway is not the same news consumed by the rest of the country. To test this hypothesis, we reviewed print publications and measured two specific channels for AHCA coverage: the front page of the printed newspaper and the top trending stories on those news publications’ websites. Local news outlets were not covering the proposed legislation near the level of national and Beltway outlets. 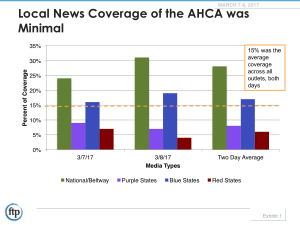 National and Beltway publications overwhelmingly had more coverage of the AHCA than any other major market newspaper – 24% of stories on March 7th and 31% of stories on March 8th. There was no discernible difference between news coverage in print or online, across all four buckets of outlets measured – Beltway/national, purple states, red states and blue states. There was more coverage of the proposed legislation in blue states, presumably because there was already more awareness of the Affordable Care Act (Obamacare). On both days the coverage averages were 16% and 19%, both exceeding the cumulative average across all publications reviewed of 15%. While this is not a comprehensive overview of all potential information distribution channels – such as social, radio, or local television – it serves as a snapshot of what content is included in more localized news media. So, this leads us back to our initial question: are we talking to ourselves inside the Beltway? We reviewed the number of stories included on the front page of each print publication that mentioned the AHCA. In addition, at 2pm EST that same day, we reviewed how many stories in the most viewed section included the AHCA. This accounted for both print and online readership. This was conducted the day after the rollout of the AHCA, Tuesday, March 7, 2017, and Wednesday, March 8, 2017, as a snapshot of the news coverage of federal legislation.